Call for guest posts: share your event planning and marketing case studies! Do you have a story to tell about how you planned or marketed an event at your venue? Have you taken advantage of Museums at Night to try out a new way of working, or to stage a different type of event, or to bring in a new element? This writing opportunity is open all year round to anyone who works or volunteers in an arts or heritage organisation. The idea of publishing guest blog posts is to showcase lots of different voices from museums, galleries and heritage sites, passing on marketing and event planning ideas to inspire other venues who may be considering taking part for the first time. Do you have any tips for other venues based on your experiences? What have you learned – e.g. about your own capacity, about timings, about the most and least successful forms of promotion, about what different audience most appreciate? 2) A couple of photos of visitors exploring your venue, ideally at night, with the photographers’ credit. 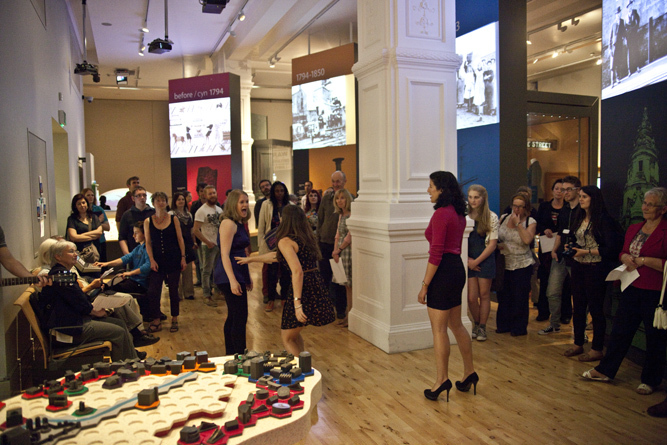 We always like to put up photos of people having fun at cultural / heritage venues! 3) A couple of lines about yourself, I’m happy to link to your website / Twitter account / LinkedIn etc. If you’re interested in writing a guest post, or if you have any questions, please drop me an email at rosie@culture24.org.uk or give me a call on 01273 623336. We were delighted to work with the BBC to raise awareness of the Museums at Night festival this year: here’s a brief roundup of the coverage that went out on on BBC1, BBC2, Radio 2, Radio 3, Radio 4, local radio and television and BBC ARTS Online. 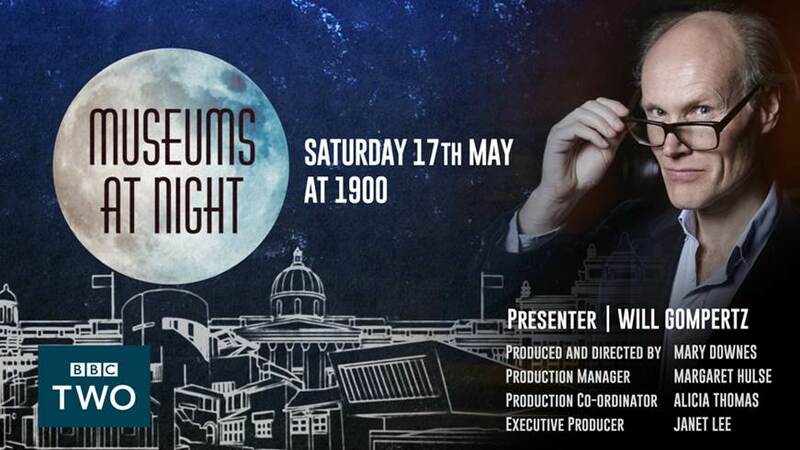 At the heart of the BBC’s coverage was an hour long BBC2 show, Museums at Night, on Saturday 17 May at 7pm. The programme was a truly nationwide event, presented by Will Gompertz with Mat Fraser at the National Museum of Scotland in Edinburgh. There were also short films presented by Frank Cotterell Boyce, Andrew Graham-Dixon and Simon Armitage from Liverpool, Cardiff, Nottingham, Cornwall, Yorkshire and the National Gallery in London. The on-site panel in Edinburgh included Jude Kelly, Bettany Hughes and Amit Sood from the Google Art Project. There was also a significant amount of local radio coverage, including interviews with many participating museums and representatives from Culture24. More than seven TV regions covered the weekend, either live or as a package on the Thursday or Friday 18.30 news. 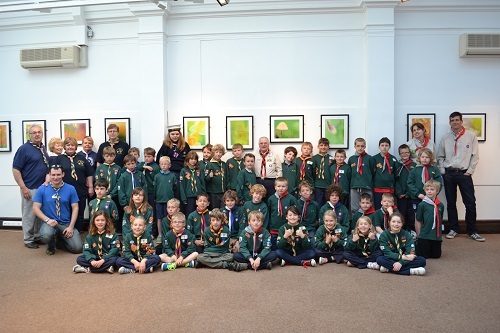 Events at the Horniman Museum in London, the Wilson in Cheltenham, the Royal Albert Memorial Museum in Plymouth, Exeter Art Gallery, and one Sunderland museum sleepover were featured. News teams from Manchester, Southampton, Leeds and Hull also covered the event. BBC Northern Ireland’s Arts Show produced a feature from the Titanic Museum, Belfast. Each transmission also referred to the BBC2 show. 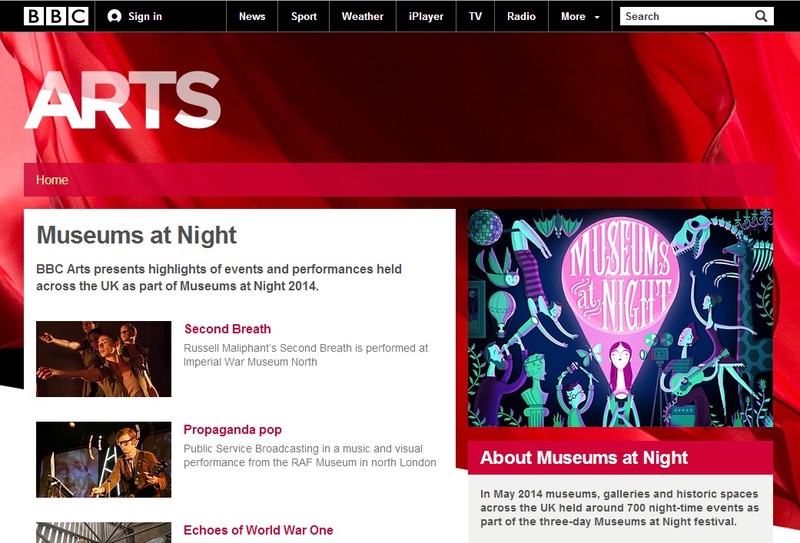 The newly launched BBC Arts Online focused on Museums at Night over the weekend. Martha Kearney picked up from Will Gompertz, continuing the broadcasting at 8pm after the BBC2 show. There was a complete live stream of Russell Maliphant’s ‘Second Breath’ with English National Ballet at the Imperial War Museum North. 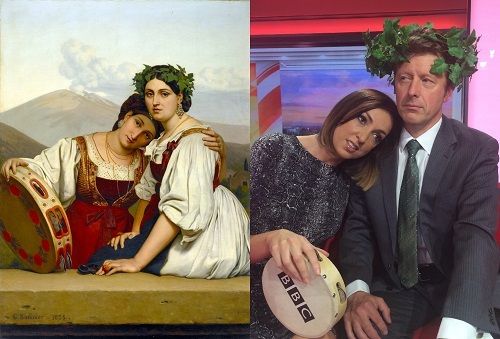 The website also featured the ‘VanGoYourself’ project which encourages people to take a photograph of themselves as they restage well-known paintings. The Last Supper was re-staged with a group of dinner ladies in a Glasgow primary school. Clips from the online coverage, including English National Ballet and Public Service Broadcasting, can still be seen on the BBC Arts Museums at Night page. Museums Showoff, the cabaret-style night for all those who love museums, will be at the Bloomsbury Theatre, 15 Gordon Street, London WC1H 0AH at 7.30pm on June 10th. 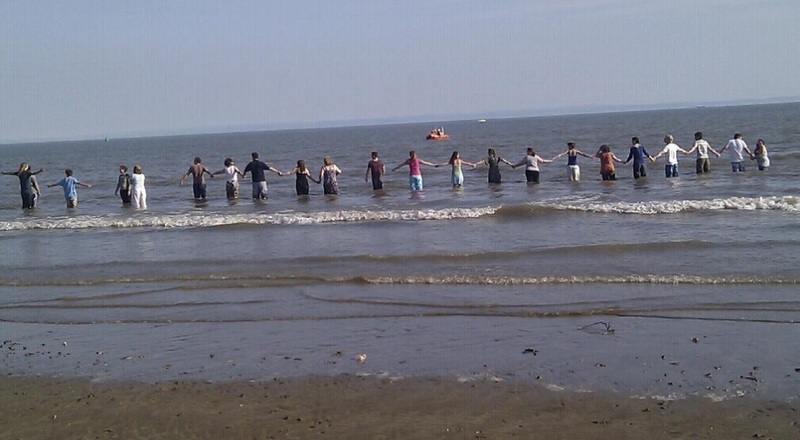 And I’ll be talking as part of the evening: explaining how the Connect10 competition led to me spending Museums at Night falling into the sea at Swansea with artist Amy Sharrocks! If you want to hear intriguing insights, get the low down on amazing projects and glean all the behind-the-scenes gossip, Museums Showoff is the show for you. Whether it’s bizarre visitor feedback or the terrible fate of a Ken doll, a lifesaving Welsh dog or some fascinatingly underwhelming fossils, Museums Showoff explores a side of the UK’s world-renowned museums and collections not seen (for better or worse!) by the 40 million people who visit them every year. Also among those taking to the stage for this extravaganza of wit and wisdom, objects and exhibitions will be curators from the Grant Museum and the Horniman Museum, the convenors of the Bad Text award, and the Roald Dahl Museum storytellers. See the full line up and buy your tickets (only £7) at http://www.museumsshowoff.org. All proceeds are going to Arts Emergency who offer mentoring, advice & support for 16-19 year olds from low income backgrounds who want to do an arts or humanities degree … just the kind of qualification you need to work in a museum! This gig is suitable for people aged over 16 years old. If you come along, do say hello to me afterwards!